September 18, 2014 by Johnson·Comments Off on What is Family Law? This is a broad term describing an area of law that deals exclusively with matters related to the family. Some of the things under this umbrella are: adoption and surrogacy; child custody, visitation, and support; paternity testing- and many more. In the United States, the dockets of the family law court are usually the most crowded- and all social and economic classes are represented. Let’s take a look at some of these specific issues. Adoption is when a person takes responsibility for taking care of a child. In this case, all rights and filiation is taken from the biological parents and given over to the adoptive parents. This situation is much different from guardianship or other systems set up to ensure children are cared for. Adoption calls for a permanent change in status, which society must recognize through legal and even religious sanctioning. Adoption is the main way to ensure that children who are neglected, abused, have run away, or are homeless are taken care of. Surrogacy is when a woman carries a baby that is intended for someone else. There are two forms of surrogacy: gestational and traditional. In the case of gestational surrogacy, the woman is made pregnant by the transfer of an embryo via IVF and the child is genetically unrelated to the surrogate. In traditional surrogacy, the woman is made pregnant naturally or artificially and the child is related gentically to the surrogate. Since traditional surrogacy is much more complex, it is much less common in the United States. Custody and guardianship are two legal terms that are used to describe the practical and legal relationship between a parent and their child. Most often, this comes up in the case of annulment, divorce, or other proceedings when a child is involved. In most cases, the best interests of the child are taken into account when deciding the custody of the child. These court battles are most often the ugliest. Child support, also referred to as “child maintenance” also comes under the umbrella of family law. This is a payment that is made by one parent to the other to financially benefit the child. The payments are periodic (usually monthly) and ongoing (until the child reaches adulthood- or something changes). Most of the time, the non-custodial parent is the one making the payments to the custodial parent. However, in some cases, the custodial parent could actually be required to pay child support to the non-custodial parent. If the custody arrangement is joint, the parent with the higher income is the one that has to pay child support to the one with the lower income. Paternity tests are used to determine whether or not two people have a biological child/parent relationship. These are performed in order to determine whether or not a man is the biological father of the child. There are several methods that can be used and can be done before or after the woman gives birth. 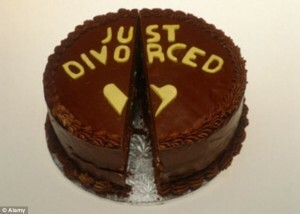 Previous Previous post: What is Divorce?